Kayak fishing can be one of the most rewarding sports that one may undertake. Not only is it a fun sport, but it is a great form of exercise as well. Kayak fishing can be performed in almost any weather although it is most enjoyable during the warmer months. 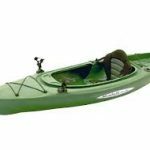 It is becoming increasingly popular over the last decade, and there are many companies that have began creating kayaks for this express purpose. Some people enjoy kayaking in fresh water such as lakes and rivers although the more extreme kayak fishermen take their boats to the ocean. Whether you choose to fish from your kayak in the ocean or in the lake, there are a few things that you should keep in mind when taking your boat anywhere. One of the most important things that one who plans on paddling a kayak should know is how to roll the boat if it should flip. This maneuver is the most basic move that should be mastered before taking a kayak out in any type of water. Kayaks with skirts can sometimes be difficult to get out of as well as the fact that if you bail out, you may not be able to get back in. Understanding how to roll the kayak back over if you should capsize is very important. Other problems you may have if you are unable to roll is the fact that you may be stuck in the middle of the lake unable to re-mount your boat. Besides knowing the kayak roll, one should always make sure that they are wearing a personal flotation device. Although some claim that personal flotation devices are uncomfortable and bulky, many people are alive due to the fact that they were wearing some form of life a vest. Many states require boaters of any sort to at least have a personal life vest in the boat although some states require that everyone in the boat wear a personal flotation device at all times while in the boat. One thing to keep in mind is that many outdoor outfitters offer clothing with built in PFD’s, and some wetsuits have an extra layer that functions as a built in life vest. As stated earlier, many people choose to keep their kayak fishing within the realm of freshwater. One advantage to fishing in a lake or river is the conditions. Although some rivers may have rapids that can be dangerous and rough, most fishermen choose not to fish in those areas. Freshwater kayak fishermen usually limit their fishing to areas that are calm and hold fish. Freshwater kayak fishing can be just as rewarding, but the size and fight of fish may not compare to the excitement of the saltwater sport. For those that want to take the sport of kayak fishing to the next level, there is the sport of kayak saltwater fishing. Kayak fishing in saltwater offers the same challenges as freshwater but has the potential for a greater catch. For instance, freshwater fish are pretty limited in their size, which usually revolves around the body of water that you are fishing; however, when fishing in the ocean, size is unlimited. One of the most popular fish for kayak fishing is to target red drum. Red drum can be caught on the fly or just as freshwater bass although redfish have the ability to grow to over eighty plus pounds. This is just one of the many saltwater game fish that await the saltwater kayak fisherman. There is another aspect to the sport that many people are unaware of. This is the extreme sport of mother ship kayaking. This is where you ride out to open water and launch from a mother ship to fish for tuna, king mackerel, and other large ocean fish. This sport is something that should only be done under close supervision of an experienced professional.